Thanks to government plans to cut carbon by 80% come 2050 in the UK, the implementation of ‘future fuels’ in the domestic market is likely to become a reality in the not so distant future. 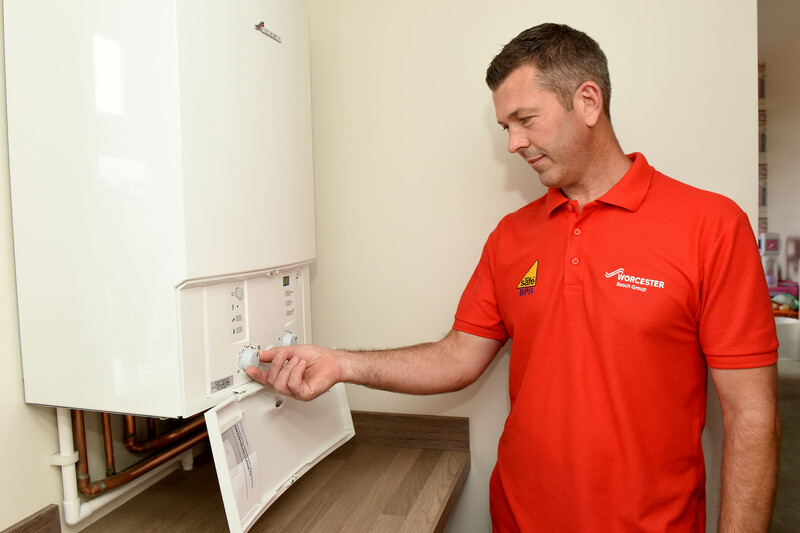 Martyn Bridges, Director of Technical Communication and Product Management at Worcester Bosch, explains how heating specification is likely to change for housebuilders in the years to come. For some time now the most common form of domestic heating type in the UK has been gas-fired combination boilers. Thanks to the high efficiency, space saving single compact unit design, and cost-saving qualities of a combi, they have become a clear choice for an estimated 16m homes. Regular and system gas-fired boilers, which require a separate hot water cylinder, are also widely specified and come with a different set of benefits. 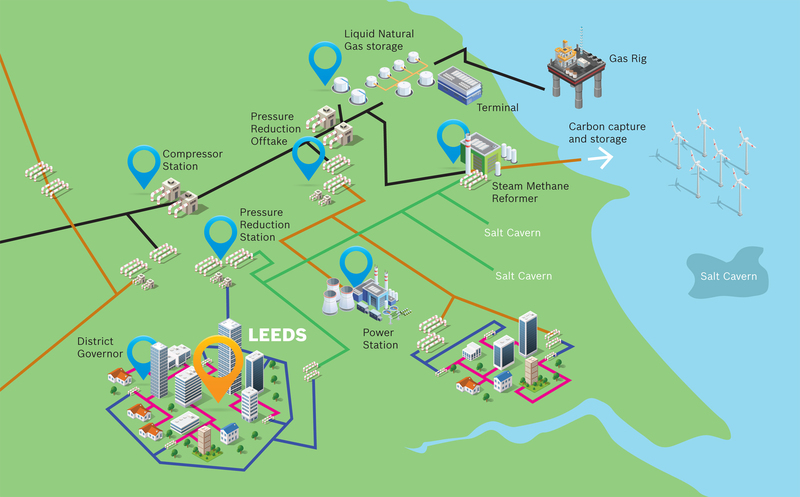 Overall, no matter the boiler type, it is clear that the consistency and reliability of the UK’s gas network means that considering replacing our gas-fired boilers on a large national grid scale and using alternatives to natural gas energy sources may seem like a big leap. However, is it such a strange idea? There are areas where mains gas is not available and boilers instead run on oil, LPG, or coal. The problem is that these are still fossil fuels with a slightly higher CO2 output. For housebuilders working in these rural areas, a plethora of alternative renewable energy heating sources can be considered – for instance, biomass, solar or heat pumps. Unfortunately, part of the problem with these alternatives is that renewable heating technologies have, to date, proven to be something of a hard sell to UK homeowners. In turn, housebuilders and professional property developers have been less inclined to specify them in the first place. If the UK is serious about energy reform on a large scale, then what next? It is telling that of the £35m fund set aside for ‘heat innovation projects’ announced in 2017, £25m was allocated to the investigation of hydrogen as an alternative domestic heating source to natural gas. As recently as May 2018, the UK’s Energy and Clean Growth Minister, Claire Perry, also announced a £20m funding boost to businesses embracing the potential for a future UK hydrogen economy. 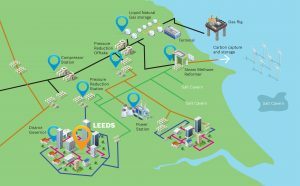 There is no doubt that even with these promising investments, even more additional funding would be required to convert the UK’s gas grid and design/develop hydrogen-fuelled appliances. However, the potential benefit is huge; it would, theoretically, require next to no behavioural changes from the homeowner. With hydrogen, homeowners get to keep gas cookers, gas fires and combi boilers. Housebuilders also wouldn’t need to sacrifice space on housing plots for storing wood for biomass boilers or cylinders for solar water heating powered systems. Investigations are also being made into the use of a mixture of hydrogen and natural gas: around 20 to 80% respectively. This would be a more achievable way of moving towards a carbon neutral society. Housebuilders, especially in urban and city dwellings, will already be specifying electric-based heating systems, such as storage heaters and electric radiators. However, housebuilders usually wish to avoid electrification of homes where possible, given the higher costs of this type of energy source, which could put off potential buyers. Other reasons many housebuilders wish to avoid electrification include the fact that it would mean bidding farewell to appliances such as the gas hob, which would be met with much opposition from countless buyers. Similarly, there would also be very likely opposition from users of appliances such as gas fires and instantaneous water heaters. Burning waste and converting it into energy to heat and power the home will sound like a no-brainer to many. Not only would it reduce the amount of waste we sent to landfill, it would also give us energy we can use in a practical and helpful way. In the small levels that have been injected into the grid up to now, biogas is also less of an issue for existing gas appliances. The main barrier preventing this approach from being adopted is its potential side effects – the most concerning of which is Siloxane. Siloxanes are gases caused by the burning of certain types of waste, particularly waste containing shampoos, soaps or toothpaste, such as sewage. At extreme levels, it is problematic because it can coat the inside of a boiler with a substance not dissimilar to glass. A build-up of Siloxanes above a certain level could make the boiler and its flame-sensing equipment inoperable after as little as 1,000 hours of use. Biogas remains a viable option, but anything higher than 1.5mg of siloxane per m3 (which is still higher than the levels we see used today) would require a more robust service regime put in place, with annual servicing certainly being a requirement as the growth in biogas continues. It certainly will, with many options on the table, be interesting to see what domestic energy will look like in 2050, but whatever the future holds, housebuilders will play a key role in the changing energy landscape for the homes of tomorrow.